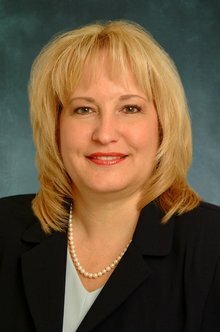 Dee Cantrell, RN, BSN, MS, Chief Information Officer (CIO) of Emory Healthcare, has received the 2012 CIO of the Year Award in the non-profit/public sector from the Georgia CIO Leadership Association (GCLA). Cantrell is the only two-time recipient of this award. The CIO of the Year Awards is a top technology executive recognition program in the state that honors technology executives who have shown excellence in managing enterprise-wide information systems. Cantrell is responsible for the IT infrastructure that supports the day-to-day operations of over 15,000 employees and more than 1,500 physicians who support the five Emory Healthcare hospitals, The Emory Clinic, Emory Specialty Associates’ physician practices and Emory Wesley Woods Geriatric Care Hospital. At these locations, her Information Services team supports all enterprise-wide and specific department systems and applications. "Dee and her entire information systems team work tirelessly to enhance our technical operations, while enabling quality patient care through technology," says John T. Fox, President and CEO of Emory Healthcare. "Dee’s leadership abilities and expert knowledge in her field help keep Emory Healthcare’s IT infrastructure on the forefront of health care systems technology." Cantrell earned her bachelor’s degree in nursing from Brenau University and worked as a registered nurse in multiple capacities before becoming involved in healthcare information technology. She earned a Master’s degree in Organizational Management from Capella University. She joined Emory Healthcare in 1994 as director of Patient Services Informatics and attained her current role as CIO for Emory Healthcare in 2000. She is the first female and the first nurse to serve in the role of CIO at Emory Healthcare.